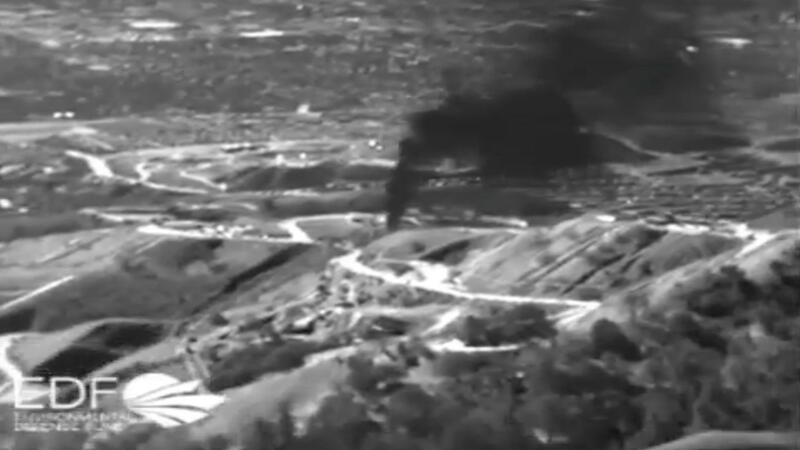 Los Angeles Times, Jan 15, 2016 (emphasis added): Efforts to plug Porter Ranch-area gas leak worsened blowout risk, regulators say — Southern California Gas Co… is trying to avoid a blowout, which state regulators said is now a significant concern after a seventh attempt to plug the well created more precarious conditions at the site. If a blowout occurs, highly flammable gas would vent directly up through the well… rather than dissipating as it does now… State officials said a blowout would increase the amount of leaked gas… That natural gas also creates the risk of a massive fire… The risk of fire already is so high that cellphones and watches are banned from the site… [The gas company’s attempts to stop the leak] expanded a crater around the wellhead, state and gas company officials said. The crater is now 25 feet deep, 80 feet long and 30 feet wide, those officials said… [The gas company] declined repeated requests from The Times… The gas company would not provide current photos of the site or allow media access… In one internal state report obtained by The Times, an agency official described [one] kill effort as a “blowout to surface.”“A large column of gas, aerated mud, and rock formed a geyser around the wellhead,” the state observer wrote.